2013 yılında Doçent, 2018 yılında Profesör unvanını almıştır. Guney H, Yuksel I, Kaya D, Doral MN. “Correlation between quadriceps to hamstring ratio and functional outcomes in patellofemoral pain.” Knee. 2016 Aug;23(4):610-615. DOI: 10.1016/j.knee.2016.04.004. (SCI-EXPANDED). Aksahin E, Aktekin CN, Kocadal O, Duran S, Gunay C, Kaya D, Hapa O, Pepe M.
“Sagittal plane tilting deformity of the patellofemoral joint: a new concept in patients with chondromalacia patella.” Knee Surg Sports Traumatol Arthrosc. 2017 Oct;25(10):3038-3045. Guney H, Yuksel I, Kaya D, Doral MN. “The relationship between quadriceps strength and joint position sense, functional outcome and painful activities in patellofemoral pain syndrome.” Knee Surg Sports Traumatol Arthrosc. 2016 Sep;24(9):29662972. DOI:10.1007/s00167-015-3599-3. (SCI). Aksahin E, Kocadal O, Aktekin CN, Kaya D, Pepe M, Yılmaz S, Yuksel HY, Bicimoglu A. “The effects of the sagittal plane malpositioning of the patella and concomitant quadriceps hypotrophy on the patellofemoral joint: a finite element analysis.” Knee Surg Sports Traumatol Arthrosc. 2016 Mar;24(3):903-908. DOI: 10.1007/s00167-014-3421-7. J Diabetes Dev Ctries. 2015; 35(Suppl 3): 405-410. DOI: https://doi.org/10.1007/s13410015-0396-y. (SCI-EXPANDED). 7.1.6. Yılmaz G, Doral MN, Turhan E, Dönmez G, Atay AÖ, Kaya D. “Surgical treatment of Achilles tendon ruptures: the comparison of open and percutaneous methods in a rabbit model.” Ulus Travma Acil Cerrahi Derg. 2014;20(5):311-8. DOI: 10.5505/tjtes.2014.42716. (SCI-EXPANDED). 7.1.7. Uzumcugil A, Bekmez S, Kaya D, Atay AO, Doral MN. “Can standing knee radiographs predict chondral lesions in young- and middle-aged population?”Knee Surg Sports Traumatol Arthrosc. 2014 Jun;22(6):1370-1375. DOI: 10.1007/s00167-013-2530-z. (SCI). 7.1.8. Huri G, Dubin JM, Ozgonen K, Kaya D, Doral MN. “A Unique Rectus Femoris Injury in an Adolescent Soccer Player” JBJS Case Connect. 2014; Oct/Dec/Nov;4(4):e115-118. DOI: 10.2106/JBJS.CC.M.00290. (SCI) (Vak’a takdimi). 7.1.9. Yosmaoglu HB, Kaya D, Guney H, Nyland J, Baltaci G, Yuksel I, Doral MN. “Is there a relationship between tracking ability, joint position sense, and functional level in patellofemoral pain syndrome?” Knee Surg Sports Traumatol Arthrosc. 2013. 7.1.10. Guney H, Kaya D, Citaker S, Kafa N, Yosmaoglu B, Yetkin I, Yuksel I, Doral MN. “Is there any loss of ankle proprioception in diabetic patients without neuropathy?” Isokinetics and Exerc Science. 2013; 21(4) 317-323. (SCI-EXPANDED). M.Callaghan. “Proprioception Level After Endoscopically Guided Percutaneous Achilles Tendon.” Knee Surg Sports Traumatol Arthrosc. 2012;Jun;21(6):1238-1244. DOI:10.1007/s00167-012-2007-5. (SCI). 7.1.13. D.Kaya, MJ.Callaghan, G.Donmez, MN.Doral. “Shoulder joint position sense is negatively correlated with free-throw percentage in professional basketball players.” Isokinetics and Exercise Science, 2012;20:189-196. DOI: 10.3233/IES-2012-0458. (SCI- EXPANDED). 7.1.14. D. Kaya, MN. Doral “Is there any relationship between Q-angle and lower extremity malalignment?” Acta Orthop Traumatol Turc. 2012;46(6):416-419. (SCIEXPANDED). 7.1.15. MN.Doral, O.Bilge, G.Batmaz, G.Donmez, E.Turhan, M.Demirel, OA.Atay, A.Uzumcugil, K.Atesok, D.Kaya. “Treatment of osteochondral lesions of the talus with microfracture technique and postoperative hyaluronan injection.” Knee Surg Sports Traumatol Arthrosc. 2012; 20: 1398–1403. DOI: 10.1007/s00167-011-1856-7. (SCI). 7.1.16. Kaya D, Citaker S, Kerimoglu U, Atay OA, Nyland J, Callaghan M, Yakut Y, Yüksel I, Doral MN. “Women with patellofemoral pain syndrome have quadriceps femoris volume and strength deficiency.” Knee Surg Sports Traumatol Arthrosc. 2011; 19(2):242247. DOI: 10.1007/s00167-010-1290-2. (SCI). 7.1.18. S.Citaker, AG.Gunduz, MB.Guclu, B.Nazliel, C. Irkec, D.Kaya. “Relationship between foot sensation and standing balance in patients with multiple sclerosis”. Gait Posture. 2011;34(2):275-278. DOI: 10.1016/j.gaitpost.2011.05.015. (SCI). G.Leblebicioglu, D.Kaya, H.Bilgili, M.Sargon. 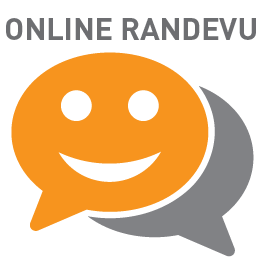 “The effects of the synovium on chondrocyte growth: an experimental study”. Knee Surg Sports Traumatol Arthrosc. 2011;19(7):12141223. DOI: 10.1007/s00167-010-1391-y. (SCI). 7.1.20. HB.Yosmaoglu, G.Baltaci, D.Kaya, H.Ozer. “Tracking Ability, Motor Coordination and Functional Determinants after Anterior Cruciate Ligament Reconstruction". J Sport Rehabil. 2011;20(2):207-218. (SCI). 7.1.21. S.Akgül, U.Diliçikik, NO.Kanbur, D.Kaya, G.Dönmez, MN.Doral. “Proximal humeral physeal widening: little leaguer's shoulder or a variation of normal development?” Turk J Pediatr. 2011;Nov-Dec;53(6):711-4. (SCI-EXPANDED). 7.1.22. D.Kaya, OA.Atay, MJ.Callaghan, A.Cil, O.Caglar, S.Citaker, I.Yuksel, MN.Doral. "Hallux valgus in patients with patellofemoral pain syndrome". Knee Surg Sports Traumatol Arthrosc. 2009;17(11):1364-1367. DOI: 10.1007/s00167-009-0775-3. (SCI). 7.1.24. N.Tuğay, İ.Akarcalı, D.Kaya, U.Tugay, B.Atilla, M.Tokgozoglu. “High independence level in functional activities reduces hospital stay after total hip arthroplasty regardless to pain intensity”. Saudi Medical Journal. 2004;25(10):1382-1387. (SCI- EXPANDED). 7.2.2. D. Kaya, İ. Yüksel, MJ. Callaghan, H.Güney, OA. Atay, S.Çıtaker, G.Huri, O.Bilge, MN.Doral. “High voltage pulsed galvanic stimulation adjunct to rehabilitation program for patellofemoral pain syndrome: a prospective randomized controlled trial” Fizyoterapi Rehabilitasyon 2013: 24(1):1-8. (CINAHL, EXCERPTA MEDICA). 7.2.4. D.Kaya, Doral MN.,Güney H.,Karanfil Y.,Yildirim M.,Utku B.,Alkan E.,Akin U. 7.2.6. G.Huri, MN.Doral, G.Leblebicioğlu, AO.Atay, A.Uzumcugil, D.Kaya, TL.Whipple. “Minimal Invasive Technique in Capitellum Fracture Treatment”. Tech Shoulder Elbow Surg 2011;12(1):18–20. Vak’a takdimi. 7.2.7. S.Citaker, D.Kaya, I.Yuksel, B.Yosmaoglu, J.Nyland, OA.Atay, MN.Doral. “Static Balance in Patients with Patellofemoral Pain Syndrome”. Sports Health: A Multidisciplinary Approach. 2011;3(6):524-527. (SCOPUS, CABI). 7.2.8. D.Kaya, İ.Yüksel, S.Çıtaker, G.Huri, H.Güney, O.Bilge, G.Dönmez, ÖA.Atay, MN.Doral. “Patellofemoral ağrı sendromunda eksentrik koordinasyon, işlevsel dayanıklılık ve kas kuvvetinin değerlendirilmesi”. Fizyoterapi Rehabilitasyon 2010;21(3):108-116. (CINAHL, EXCERPTA MEDICA). Electromyogram Activity, and Muscle Strength in Patellofemoral Pain Syndrome”. Sports Health: A Multidisciplinary Approach 2010; 2: 410-416. (CABI). M.Bozkurt. “Meniscectomy”. Tech Knee Surg 2010; 9: 150-158. Derleme. 7.2.11. MN.Doral, M.Bozkurt, E.Turhan, G.Donmez, M.Demirel, D.Kaya, K.Ateşok, OA.Atay, N.Mafulli. “Achilles tendon rupture: physiotherapy and endoscopy-assisted surgical treatment of common sports injury”. Open Access Journal of Sports Medicine. 2010; 1: 232-240. Derleme. (OAIster, ResearchGate, DOAJ). 7.2.12. MN.Doral, O.Tetik, OA.Atay, G.Leblebicioğlu, T.Aydoğ, İ.Akarcalı, D.Kaya. "Patellar instabilite: Artroskopik cerrahi, uygulama, endikasyon ve teknikler". Acta Orthop Traumatol Turc. 2004;38 Suppl 1:119-126. Derleme. (INDEX MEDICUS). 7.2.13. İ.Akarcalı, N.Tuğay, Z.Erden, D.Kaya, B.Atilla, M.Tokgözoğlu. “Total kalça artroplastili hastalarda cerrahi öncesi eğitimin erken dönem fonksiyonel aktiviteler üzerine etkisi”. Fizyoterapi Rehabilitasyon, 2002;13(1):19-23. (CINAHL, EXCERPTA MEDICA). 7.2.14. İ.Akarcalı, N.Tuğay, D.Kaya, OA.Atay. “The role of high voltage electrical stimulation of patellofemoral pain”. The Pain Clinic. 2002;14(3):207-213. (INDEX MEDICUS). Basic Science of Exercise Fatigue, 27-31 Mayıs, Orlando, Amerika Birleşik Devletleri. 7.3.4. Kaya D, Doral MN, Donmez G., Turhan E., Atay OA, Nyland J. “Proprioception impairment after endoscopically guided percutaneous Achilles tendon repair is related to perceived ankle-foot stiffness.” 15th ESSKA Congress., 2-5 Mayıs, 2012, Cenevre, İsviçre. (Knee Surg Sports Traum Arth 20 (1): 350, 2012). (SCI). 7.3.5. D.Kaya, G.Donmez, H.Guney, AH.Demirel, MN.Doral. “Out-patient physiotherapy and returning to sports”. 6th European Sports Medicine Congress, 14-18 Ekim 2009, Antalya, Türkiye. (J Sports Science & Medicine 8(11):18, 2009). (SCI-EXPANDED). 18 Ekim 2009, Antalya, Türkiye. (J Sports Science & Medicine 8(11):53, 2009). (SCIEXPANDED). 7.3.7. MN.Doral, G.Donmez, U.Dilicikik, OA.Atay, AH.Demirel, D.Kaya. ”Patellofemoral pain: Philospohy behind the problem”. 6th European Sports Medicine Congress, 14-18 Ekim 2009, Antalya, Türkiye. (J Sports Science & Medicine 8(11):4, 2009). (SCI-EXPANDED). 18 Ekim 2009, Antalya, Türkiye. (J Sports Science & Medicine 8(11):16, 2009). (SCIEXPANDED). 7.3.9. MN.Doral, E.Turhan, M.Bozkurt, M.Ayvaz, OA.Atay, A.Uzumcugil, G.Leblebicioglu, D.Kaya. "Percutaneous suturing of the ruptured achilles tendon under endoscopic control". 5th Meeting of the European Federation of National Associations of Orthopaedic Sports Traumatology, 26-29 Kasım 2008, Antalya, Türkiye. 7.3.10. MN.Doral, O.Bilge, OA.Atay, A.Uzumcugil, G.Donmez, D.Kaya, G.Huri, G.Leblebicioglu. "Treatment of talus osteochondral lesions with microfracture and postoperative intraarticular hyaluronan injection: Functional results in one year". 5th Meeting of the European Federation of National Associations of Orthopaedic Sports Traumatology, 26-29 Kasım 2008, Antalya, Türkiye. 7.3.11. O.Bilge, MN.Doral, OA.Atay, D.Kaya, A.Uzumcugil, G.Huri, G.Leblebicioglu. "Arthroscopic treatment of a synovial chondromatosis case at the ankle joint". 5th Meeting of the European Federation of National Associations of Orthopaedic Sports Traumatology, 26-29 Kasım 2008, Antalya, Türkiye. 7.3.12. G.Donmez, ST.Aydog, A.Akdoğan, Ö.Karadağ, U.Diliçıkık, S.Doğan, AH.Demirel, D.Kaya, MN.Doral. "Bilateral muscle hernias of lower legs in an athlete". 5th Meeting of the European Federation of National Associations of Orthopaedic Sports Traumatology, 26-29 Kasım 2008, Antalya, Türkiye. 7.3.13. G.Donmez, L.Özçakar, U.Diliçıkık, M.Yörübulut, ST.Aydog, AH.Demirel, D.Kaya, I.Yuksel, I.Paşaoğlu, MN.Doral. "Paget-Schroetter syndrome superverning in a Professional wrestler". 5th Meeting of the European Federation of National Associations of Orthopaedic Sports Traumatology, 26-29 Kasım 2008, Antalya, Türkiye. 7.3.14. MN.Doral, G.Donmez, U.Diliçıkık, OA.Atay, O.Tetik, G.Leblebicioglu, A.Uzumcugil, O.Bilge, S.Doğan, ST.Aydog, D.Kaya, I.Yuksel, AH.Demirel. "Multiple osteochondroses and avulsion fractures of the hip". 5th Meeting of the European Federation of National Associations of Orthopaedic Sports Traumatology, 26-29 Kasım 2008, Antalya, Türkiye. 7.3.15. D.Kaya, OA.Atay, A.Cil, A.Uzumcugil, I.Yuksel, N.Tugay, MN.Doral. "Lower extremity biomechanics in patients with patellofemoral pain". ISAKOS 9-13 Nisan 2005, Miami –Florida, USA. 7.3.16. MN.Doral, OA.Atay, O.Tetik, G.Leblebicioğlu, A.Uzumcugil, M.Ayvaz, I.Akarcalı, D.Kaya. "Medial patellofemoral ligament stabilization (MPFL) by arthroscopy in patellar instability". 3rd Congress of Asia-Pacific Knee Society, 01-04 Kasım 2004, Ankara, Türkiye. 7.3.17. MN.Doral, OA.Atay, O.Tetik, G.Leblebicioğlu, A.Uzumcugil, M.Ayvaz, O.Tetik, B.Pijnenburg, I.Akarcalı, D.Kaya. "Treatment for isolated medial malleolar fractures – an arthroscopic approach". 3rd Congress of Asia-Pacific Knee Society, 01-04 Kasım 2004, Ankara, Türkiye. 7.3.18. MN.Doral, ST.Aydoğ, O.Tetik, AH.Demirel, OA.Atay, D.Kaya, E.Turhan. “Multiple osteochondroses and avulsion fracture of anterio superior iliac spine in a soccer player: A case report”. 3rd Congress of Asia-Pacific Knee Society, 01-04 Kasım 2004, Ankara, Türkiye. 7.3.19. O.Tetik, ST.Aydoğ, AH.Demirel, L.Ozcakar, OA.Atay, D.Kaya, MN.Doral. Professional handball player: Case report”. 3rd Congress of Asia-Pacific Knee Society, 0104 Kasım 2004, Ankara, Türkiye. 7.3.20. MN.Doral, OA.Atay, O.Tetik, G.Leblebicioglu, A.Uzumcugil, I.Akarcalı, D.Kaya. "Medial patellofemoral ligament stabilization (MPFL) by arthroscopy in primary patellar dislocation. Is it necessary? (prospective study in 21 patients)". 14th Triennial Congress APOA, 5-10 Eylül 2004, Kuala Lumpur. 7.3.21. MN.Doral, OA.Atay, O.Tetik, G.Leblebicioğlu, T.Aydoğ, Ü.Aydıngöz, D.Kaya. "Arthroscopic Treatment of Medial Patellar Stabilizers in Acute Patellar Dislocation”. The 27th Annual Meeting of the Japan Knee Society, 13-14 Şubat 2004, Hiroşima, Japonya. 7.3.22. D.Kaya, N.Tuğay, A.Mutlu, İ.Akarcalı, G.Leblebicioğlu. "Physical therapy results of in a child with mucopolysaccharidosis after surgery". 6th. Congress of The International Federation of Societies for Surgery of the Hand, 11-13 Haziran 2001, The Marmara-İstanbul, Türkiye. 7.3.23. Y.Guniken, D.Kaya, H.Kayıhan, G.Leblebicioğlu. "The relationship between finger length, pinch and grip strength". 6th. Congress of The International Federation of Societies for Surgery of the Hand, 11-13 Haziran 2001, İstanbul, Türkiye. 7.3.24. N.Cetisli, N.Kırdı, A.Mutlu, D.Kaya. "Occupational risk factors that causes overuse injuries in upper extremities of textile industry workers". 6th. Congress of The International Federation of Societies for Surgery of the Hand, 11-13 Haziran 2001, İstanbul, Türkiye. 6th Congress of The International Federation of Societies for Surgery of the Hand, 11-13 Haziran 2001, İstanbul, Türkiye. Sports Medicine and Rehabilitation”. Springer International Publishing, Sayfa Sayısı: 188, 2018. DOI: 10.1007/978-3-319-66640-2, ISBN: 978-3-319-66639-6. 7.4.3. Yardımcı Editörlük: Sports Injuries. Editörler: Doral MN, Verlag, Sayfa Sayısı: 3295, 2015. Berlin Heidelberg. ISBN: 978-3 https://doi.org/10.1007/978-3-642-36569-0_122. 7.4.4. Kaya D, Yertutanol FDK, Calik M. “Neuro- physiology and Assessment of the Proprioception”. İçinde: “Proprioception in Orthopaedics, Sports Medicine and Rehabilitation”. Editörler: Kaya D, Yosmaoglu HB, Doral MN-Springer International Publishing, Sayfa: 3-11, 2018. DOI: 10.1007/978-3-319-66640-2, ISBN: 978-3-319-66639-6. Sports Medicine and Rehabilitation”. Editörler: Kaya D, Yosmaoglu HB, Doral MNSpringer International Publishing, Sayfa: 123-142, 2018. DOI: 10.1007/978-3-319-66640-2, ISBN: 978-3-319-66639-6. Patellofemoral Pain Syndrome”. İçinde: Sports Injuries. Editörler: Doral MN, Karlsson J- Springer Verlag, Sayfa: 1327-1338, 2015. Berlin Heidelberg. ISBN: 978-3-642-36568-3. Exercises After Ankle Surgery”. İçinde: Sports Injuries. Editörler: Doral MN, Karlsson Springer Verlag, Sayfa: 1779-1791, 2015. Berlin Heidelberg. ISBN: 978-3-642-36568-3. Model for Patients with Patellofemoral Pain Syndrome”. İçinde: Sports Injuries. Nyland J, Kaya D, Wessel R.P. “Injury Prevention in Different Sports”. Sports Injuries. Editörler: Doral MN, Karlsson J- Springer Verlag, Sayfa: 3151-3160 Berlin Heidelberg. ISBN: 978-3-642-36568-3. DOI: https://doi.org/10.1007/978 0_122. Turhan E, Huri G, Bilge O, Dönmez G, Kaya D, Alkan E, Sargon MF. İçinde: Sports Injuries. Editörler: Doral MN, Karlsson JSayfa: 2201-2210, 2015. Berlin Heidelberg. ISBN: 978-3-642-36568-3. Prevention, Diagnosis, Treatment and Rehabilitation. Editör: Doral MN - Springer Verlag, Sayfa: 1157-1163, 2011. Berlin Heidelberg. ISBN: 978-3-642-15629-8. Trends and New Horizons” İçinde: Sports Injuries - Prevention, Diagnosis, Treatment and Rehabilitation. Editör: Doral MN - Springer Verlag, Sayfa: 67-75, 2011. Berlin Heidelberg. Diagnosis, Treatment and Rehabilitation. Editör: Prof.Dr. MN Doral- Springer Verlag, Sayfa: 439-443, 2011. Berlin Heidelberg. ISBN: 978-3-642-15629-8. Diagnosis, Treatment and Rehabilitation. Editör: Prof.Dr. MN Doral- Springer Verlag, Sayfa: 597-605, 2011. Berlin Heidelberg. ISBN: 978-3-642-15629-8. Ruptures” İçinde: Sports Injuries - Prevention, Diagnosis, Treatment and Rehabilitation. 7.4.18. O.Bilge, MN.Doral, OA.Atay, G.Donmez, AG.Batmaz, D.Kaya, H.Bilgili, M.Sargon. - Prevention, Diagnosis, Treatment and Rehabilitation. Editör: Prof.Dr. MN Doral- Springer Verlag, Sayfa: 693-701, 2011. Berlin Heidelberg. ISBN: 978-3-642-15629-8. N.Reha Tandoğan, Mahmut N. Doral. TOTBİD Spor Travmatolojisi Şubesi Yayınları, Sayfa:55-67, 2011. Ankara. ISBN: 978-975-94257-5-3. Anatomy of The Achilles Tendon” İçinde: Achilles Tendinopathy – Current Concepts. Sayfa: 9-14, 2010. Guildford, Birleşik Krallık. ISBN: 978-0-9558873-2-1. 7.5.1. Çalık , Kaya D. “Patellofemoral Ağrı Sendromunda Ortez Yaklaşımları” Türkiye Klinikleri J Physiother Rehabil-Special Topics. 2018;4(1):68-72. Derleme. 7.5.2. Doral MN, Huri G, Mermerkaya MU, Turhan E, Bilge O, Dönmez G, Kaya D.
“Ayak Bileği Kıkırdak Yaralanmalarının Tedavisinde Minimal Yaklaşımla Yapılan Uygulamalar” Turkiye Klinikleri J Orthop & Traumatol-Special Topics. 2016;9(1):25-30. 7.5.3. Doral MN, Büyükdoğan K, Bilge O, Turhan E, Huri G, Özdemir E, Dönmez G, Kaya D.
“Diz Çevresi Medial Taraf Yumuşak Doku Yaralanmalarında Minimal İnvaziv Tedavi Seçenekleri” Turkiye Klinikleri J Orthop & Traumatol-Special Topics 2016;9(1):17-24. Artroplasti Uygulamaları” Turkiye Klinikleri J Orthop & Traumatol-Special Topics. 2013;6(4):98-101. Derleme. 7.5.5. D.Kaya, MN.Doral. "Evidence-based physiotherapy and rehabilitation after arthroscopic shoulder surgery". TOTBID Dergisi. 2013:12:1-5. Derleme. 7.5.6. D.Kaya, D.Akseki, MN.Doral. “Patellofemoral sorunlarda propriyosepsiyon”. 7.5.7. MN.Doral, D.Kaya, E.Turhan, G.Donmez. “Spor ve Patellofemoral Sorunlar”. TOTBİD Dergisi. 2012;11(4):314-319. Derleme. D.Kaya, H.Bilgili, M.Sargon. “Sinovyal dokunun hiyalin kıkırdak oluşumuna etkisi”. Türkiye Klinikleri J Orthop & Traumatol-Special Topics. 2011: 4(1): 87-94. Derleme. 7.5.9. MN.Doral, OA.Atay, O.Bilge, G.Donmez, A.Uzumcugil, D.Olgun, M.Ayvaz, D.Kaya. “Kıkırdak tamirinde güncel cerrahi yaklaşımlar”. Türk Geriatri Dergisi. 2011: 14(2):95100. Derleme. 7.5.10. MN.Doral, G.Dönmez, OA.Atay, U.Diliçıkık, U.Mermerkaya, D.Kaya, A.Üzümcügil. “Sporcularda Stres Kırıkları”. Turkiye Klinikleri J Orthop & Traumatol-Special Topics 2010; 3(1): 29-36. Derleme. Patellar İnstabilite Cerrahisi". Turkiye Klinikleri J Orthop & Traumatol-Special Topics 2009; 2(3): 80-87. Derleme. 7.5.12. Tuğay N, Kaya D, Mutlu A, Akarcalı İ, Acaroğlu E. "Agresif fibromatosis tanısıyla opere olan olguda fizyoterapi ve rehabilitasyon sonuçları". Hacettepe Ortopedi Dergisi, 2001: 11 (3). (EXCERPTA MEDICA). İ. “Medial patellofemoral ligament cerrahisi sonrası fonksiyonellik”. VIII. Ulusal Spor Fizyoterapistleri Kongresi, 6-8 Kasım 2015, İstanbul, Türkiye. (Türk Fizyoterapi ve Rehabilitasyon Dergisi, 2015; 26(3): 46). 7.6.2. Dönder D, Güney H, Sarıal C, Önal S, Kaya D, Turhan E, Huri G, Doral MN, Yüksel İ.
Kongresi, 6-8 Kasım 2015, İstanbul, Türkiye. (Türk Fizyoterapi ve Rehabilitasyon Dergisi, 2015; 26(3): 51). 7.6.3. Güney H, Dönder D, Sarıal C, Önal S, Kaya D, Turhan E, Huri G, Doral MN, Yüksel İ.
Türkiye. (Türk Fizyoterapi ve Rehabilitasyon Dergisi, 2015; 26(3): 66). 7.6.5. H.Güney, D.Kaya, S.Çıtaker, İ.Yüksel, İ.Yetkin, MN.Doral. “Diyabetik ayakta eklem pozisyon hissi ve kas kuvveti” . XIV. Fizyoterapide Gelişmeler Kongresi, 26-28 Nisan 2012, Nevşehir, Türkiye. (Fizyoterapi Rehabilitasyon Dergisi, 2012; 23(1): 80). (CINAHL, EXCERPTA MEDICA). 7.6.7. İ.Düzgün, S.Çıtaker, N.Atalay Güzel, D.Kaya, E.Çamcı, GY.Baltacı., “Gorham sendromlu olguda chylothorax cerrahisi sonrası manual tedavi ve egzersizin skapula hareketleri üzerine etkisi: Vaka raporu”. XXII. Ulusal Türk Ortopedi ve Travmatoloji Kongresi, Fizyoterapi Ortopedi Ortak Sempozyumu, 31 Ekim-5 Kasım 2011, Antalya, Türkiye. (Acta Orthop Traumatol Turc. 2011; 45(1):322). (SCI-EXPANDED). Sempozyumu, 31 Ekim-5 Kasım 2011, Antalya, Türkiye. (Acta Orthop Traumatol Turc. 2011; 45(1):321). (SCI-EXPANDED). 7.6.9. S.Çıtaker, İ.Düzgün, N.Atalay Güzel, D.Kaya. “Gorham hastalıklı olguda şilotoraks sonrası fizyoterapi ve rehabilitasyon sonuçları”. XXII. Ulusal Türk Ortopedi ve Travmatoloji Kongresi, 31 Ekim-5 Kasım 2011, Antalya, Türkiye. (Acta Orthop Traumatol Turc. 2011; 45(1):20). (SCI-EXPANDED). 7.6.10. U.Diliçıkık, AH.Demirel, G.Dönmez, D.Kaya, M.Sargon, MN.Doral. “Klemp ile aşil tendinopatisi oluşturulan sıçanlarda PRGF uygulamasının iyileşmeye etkisi”. XXII. Ulusal Türk Ortopedi ve Travmatoloji Kongresi, 31 Ekim-5 Kasım 2011, Antalya, Türkiye. (Acta Orthop Traumatol Turc. 2011; 45(1):29). (SCI-EXPANDED). 7.6.11. MN.Doral, E.Turhan, M.Demirel, M.Ayvaz, AÖ.Atay, D.Kaya. “Akut patella çıkıklarında artroskopi yardımlı medial patellofemoral bağın güçlendirilmesi”. XXII. Ulusal Türk Ortopedi ve Travmatoloji Kongresi, 31 Ekim-5 Kasım 2011, Antalya, Türkiye. (Acta Orthop Traumatol Turc. 2011; 45(1):47). (SCI-EXPANDED). Rehabilitasyon Kongresi, 14-16 Mayıs 2011, İstanbul, Türkiye. (Fizyoterapi ve Rehabilitasyon Dergisi. 2011;22(2):137). (CINAHL, EXCERPTA MEDICA). 7.6.13. S.Çıtaker, AG.Gündüz, M.Boşnak Güçlü, D.Kaya, B.Nazlıel, C.İrkeç “Multipl sklerozlu hastalarda el ve ayak duyu kaybı”. 13.Fizyoterapide Gelişmeler Sempozyumu, 79 Ekim 2010, Hatay, Türkiye. (Fizyoterapi ve Rehabilitasyon Dergisi. 2010;21(3):244). Ağrı Sendromu Olan Hastalarda Alt Ekstremite Fonksiyonel Seviyesi, Enduransı, Koordinasyonu ve Eklem Pozisyon Hissinin Değerlendirmesi”. XXI. Ulusal Türk Ortopedi ve Travmatoloji Kongresi, 3-8 Kasım 2009, Çeşme-İzmir, Türkiye. (Acta Orthop Traumatol Turc. 2009; 43(1):127). (SCI-EXPANDED). Kesit Alanın, Kuvvetin ve Alt Ekstremite Fonksiyonel Seviyesinin Değerlendirilmesi”. XXI. Ulusal Türk Ortopedi ve Travmatoloji Kongresi, 3-8 Kasım 2009, Çeşme-İzmir, Türkiye. (Acta Orthop Traumatol Turc. 2009; 43(1):30). (SCI-EXPANDED). Rehabilitasyon Kongresi. 4-6 Mayıs 2007, Ankara, Türkiye. (Fizyoterapi ve Rehabilitasyon Dergisi. 2007;18(2):100). (CINAHL, EXCERPTA MEDICA). 7.6.19. İ.Yüksel, S.Çıtaker, D.Kaya, Gİ.Güvendik, B.Atilla. 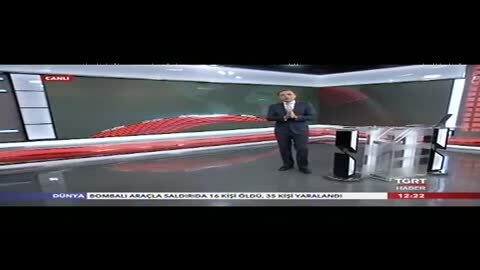 “İleri derecede kalça dejeneratif artritli hastaların denge ve alt ekstremite kas kuvvetinin sağlıklı bireylerle karşılaştırılması”. I.Ulusal Fizyoterapi ve Rehabilitasyon Kongresi. 4-6 Mayıs 2007, Ankara, Türkiye. (Fizyoterapi ve Rehabilitasyon Dergisi. 2007;18(2):124). (CINAHL, EXCERPTA MEDICA). 7.6.20. N.Tuğay, Gİ.Güvendik, S.Çıtaker, D.Kaya, İ.Yüksel, B.Atilla. “Gonartroz ve koksartrozda ağrı şiddeti ile yaşam kalitesi sonuçlarının karşılaştırılması”. XI. Fizyoterapide Gelişmeler Sempozyumu, 17-19 Kasım 2006, İstanbul, Türkiye. (Fizyoterapi ve Rehabilitasyon Dergisi. 2006;17(3):159). (CINAHL, EXCERPTA MEDICA). 7.6.21. S.Çıtaker, D.Kaya, N.Tuğay, İ.Yüksel, B.Atilla, M.Tokgözoğlu, R.İmamecioğlu. “Total kalça artroplastisinin yürüyüşün zaman-mesafe karakteristiklerine etkisi”. XI. Fizyoterapide Gelişmeler Sempozyumu, 17-19 Kasım 2006, İstanbul, Türkiye. (Fizyoterapi ve Rehabilitasyon Dergisi. 2006;17(3):208). (CINAHL, EXCERPTA MEDICA). 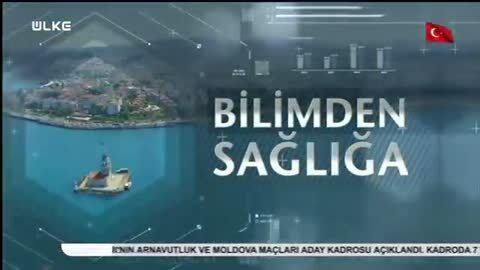 Kuvveti EMG Aktiviteleri ve Q Açısı Üzerine Etkisi". XI. Fizyoterapide Gelişmeler Sempozyumu, 17-19 Kasım 2006, İstanbul, Türkiye. (Fizyoterapi ve Rehabilitasyon Dergisi. 7.6.25. D.Kaya, G.Baltacı, OA.Atay, S.Başar, A.Baturalp, Y.Yakut. "ÖÇB Tamiri sonuçlarının fonksiyonel skala, izokinetik kas kuvveti ve denge ölçümlerinin kullanılması ile değerlendirilmesi". 19. Milli Ortopedi ve Travmatoloji Kongresi, 14-19 Mayıs 2005, Antalya, Türkiye. (Acta Orthop Traumatol Turc. 2005;39(2):96). (SCI-EXPANDED). 7.6.26. H.Özkan, D.Kaya, M.Kürklü, F.Özdağ, Y.Yıldız, MN.Doral. "İzokinetik kas kuvveti, EMG aktiviteleri ve Q açısındaki değişikliklerin patellofemoral eklem biyomekaniği üzerine etkileri". 19. Milli Ortopedi ve Travmatoloji Kongresi, 14-19 Mayıs 2005, Antalya, Türkiye. (Acta Orthop Traumatol Turc. 2005;39(2):206). (SCI-EXPANDED). 7.6.27. S.Çıtaker, N.Tuğay, D.Kaya, U.Tuğay, İ.Akarcalı. "İleri derecede dejeneratif kalça artritinin yürüyüş zaman-mesafe karakteristikleri üzerine etkisi". X. Fizyoterapide gelişmeler sempozyumu, 28-31 Ekim 2004, Antalya, Türkiye. (Fizyoterapi Rehabilitasyon Dergisi, 2004; 15(3):178). (CINAHL, EXCERPTA MEDICA). 7.6.28. N.Tuğay, S.Çıtaker, D.Kaya, İ.Akarcalı, U.Tuğay. "Total kalça artroplastili hastalarda obezitenin postoperatif erken dönemde fonksiyonel aktiviteler üzerine etkisi". X. Fizyoterapide gelişmeler sempozyumu. 28-31 Ekim 2004, Antalya, Türkiye. (Fizyoterapi Rehabilitasyon Dergisi, 2004; 15(3):179). (CINAHL, EXCERPTA MEDICA). 7.6.29. D.Kaya, G.Leblebicioğlu. "İzole radioskafoid sıkışma sendromlu (IRSIS) üç hastada cerrahi sonrası fizyoterapi sonuçları". XVIII. Milli Türk Ortopedi ve Travmatoloji Kongresi, 18-23 Ekim 2003, İstanbul, Türkiye. 7.6.30. D.Kaya, Bosnak, M, G.Leblebicioğlu. "Farklı dinlenme periyotlarında yapılan kavrama kuvvet ölçümlerinin karşılaştırılması". XVIII. Milli Türk Ortopedi ve Travmatoloji Kongresi, Grand Cevahir Kongre Merkezi, 18-23 Ekim 2003, İstanbul, Türkiye. 7.6.31. N.Tuğay, İ.Akarcalı, D.Kaya, U.Tuğay, B.Atilla, M.Tokgözoğlu, M.Alpaslan. "Total diz protezli hastalarda Knee Society skoru ile yaşam kalitesi arasındaki ilişkinin incelenmesi". XVIII. Milli Türk Ortopedi ve Travmatoloji Kongresi, Grand Cevahir Kongre Merkezi, 18-23 Ekim 2003, İstanbul, Türkiye. 7.6.32. T.Akkaya, M.Tokgözoğlu, S.Marangoz, B.Atilla, İ.Akarcalı, D.Kaya, M.Alparslan. 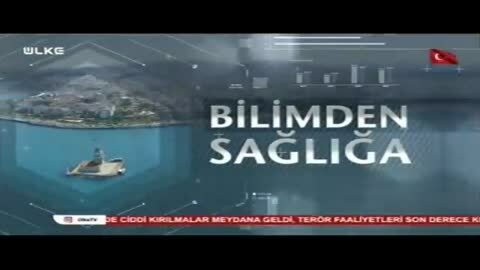 “Nexgen Total Diz Protezi Sonuçları Türk Toplumunun İhtiyaçlarını Karşılıyor Mu?”. XVIII. Milli Türk Ortopedi ve Travmatoloji Kongresi, Grand Cevahir Kongre Merkezi, 18-23 Ekim 2003, İstanbul, Türkiye. 7.7.1. Kaya D, Çalık M, Eyüboğlu F. “Bölüm 17. Ayak Bileği ve Ayak Kırıkları” İçinde: Ayak Bileği ve Ayak Problemleri. Editör: Nilgün Bek. Hipokrat Kitapevi, Sayfa: 235-248, 2018, Ankara. ISBN: 978-605-9160-84-1. 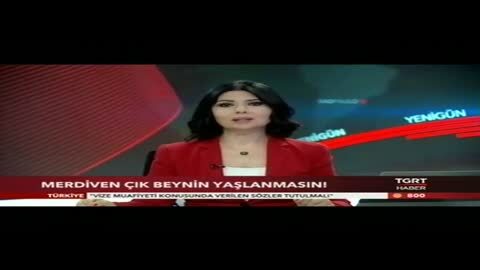 Editörleri: Hülya Arıkan, Nevin Ergun, Arzu Razak Özdinçler, Baki Umut Tuğay. İstanbul Tıp Kitabevleri, Sayfa: 419-443, 2018, İstanbul. ISBN: 9786059528405. (Çeviri). 7.7.3. Kaya D. “Bölüm 21. “Propriosepsiyon” İçinde: Fizyoterapi Rehabilitasyon. 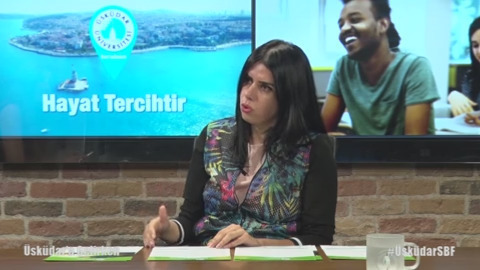 Editör:Ayşe Karaduman, Öznur Tunca Yılmaz. Hipokrat Kitapevi, Sayfa: 313-322, 2017, Ankara. ISBN: 978 - 605 - 9160 - 24 - 7 (Cilt 1). Yaralanmalarında Rehabilitasyon. Editörler: Gül Baltacı, Hayri Baran Yosmaoğlu, Derya Özer Kaya. Hipokrat Kitapevi, Sayfa: 279- 296, 2016, Ankara. ISBN: 978-605-9160-32-2. Cerrahiler” İçinde: Artroskopik Cerrahi Güncel Bilgiler ve Teknikler. Editörler: Doral MN, Aşık M, Akseki D, Müezzinoğlu S, Özsoy H. İstanbul Tıp Kitabevleri, Sayfa: 503-513, 2016, İstanbul. ISBN: 9786059528009. Artroplasti Dışı Cerrahi Tedavi Seçenekleri” İçinde: Patellofemoral Hastalıklar. Editörler: Özkan İ, Aydoğdu S, Yercan H, Esenkaya İ, Özenci M. İstanbul Tıp Kitabevleri, Sayfa: 191-203, 2016, İstanbul. ISBN: 9786054949915. Yaralanmalarında Rehabilitasyon. Editör: Gül Baltacı. Hipokrat Kitapevi, Sayfa: 149- 167, 2015, Ankara. ISBN: 978-605-9160-04-9. “Optimizing Physiotherapy in the Treatment of Patellofemoral Pain Syndrome"Center For Rehabilitation Science/ Manchester Üniversitesi, İngiltere, 2007. Ön çapraz bağ cerrahisi sonrası fizyoterapi sonuçlarının karşılaştırılması (izokinetik kas kuvveti, propriosepsiyon ve fonksiyonel seviye)- Prof. Dr. Gül Baltacı, DPT-TUBİTAK, 2008. Total kalça artroplastili hastalarda denge ve postüral kontrolün değerlendirilmesi- Prof. Dr. İnci Yüksel, Hacettepe Üniversitesi Bilimsel Araştırmalar Birimi, 2008. G.Leblebicioglu.“In-vivo: Chondrocyte Culture: An animal study”. 6th Efost Congress, 2527 Kasım 2010, Brüksel, Belçika. En İyi Sözel Sunum: D.Kaya, G.Dönmez, U. Diliçıkık, B.Utku, H.Güney, A.Üzümcügil, OA.Atay, MN.Doral. “Profesyonel basketbol oyuncularında propriyosepsiyon, kas kuvveti ve serbest atış yüzdesi arasındaki ilişki.” 10. Türkiye Spor Yaralanmaları, Diz Cerrahisi ve Artroskopi Derneği Kongresi, 12-16 Ekim 2010, Antalya, Türkiye. Veli Lök Teşvik Ödülü: O.Bilge, MN.Doral, OA.Atay, G.Dönmez, E.Turhan, A.Üzümcügil, G.Leblebicioğlu, D.Kaya, H.Bilgili, M.Sargon. 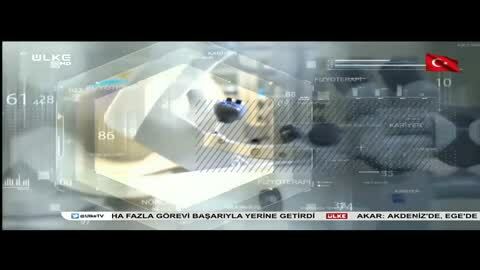 “Sinovyal dokunun “in-vivo” kondrosit kültürü üzerine etkisi: bir hayvan çalışması”. 10.Türkiye Spor Yaralanmaları, Diz Cerrahisi ve Artroskopi Derneği Kongresi, 12-16 Ekim 2010, Antalya, Türkiye. HAREKETSİZLİK, ALZHEİMER A DAVETİYE ÇIKARIYOR! DONUK OMUZ HASTALIĞI HAREKETLERİ KISITLIYOR! YÜKSEK TANSİYONA KARŞI NELER YAPMALIYIZ? KEMİK ERİMESİNE KARŞI, ZIPLAYABİLDİĞİN KADAR ZIPLA! BEDEN VE RUH SAĞLIĞINIZA EN BÜYÜK YATIRIM EGZERSİZ! BEDEN VE RUN SAĞLIĞINIZA EN BÜYÜK YATIRIM EGZERSİZ! 34 BEDEN İÇİN EGZERSİZ YAPMAYIN! TÜRKİYEDE 17 BİNDEN FAZLA FİZYOTERAPİST VAR! ÜSKÜDARDA KADIN BEYNİ ERKEK BEYNİ KONUŞULDU! EGZERSİZ YAPIN AMA NEFES NEFESE KALMAYIN! AĞIR OKUL ÇANTASI OMURGADAN VURUR!